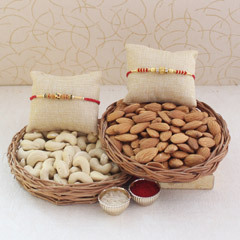 For sisters the occasion of Raksha Bandhan is a way of appeasing brothers and showing their love. 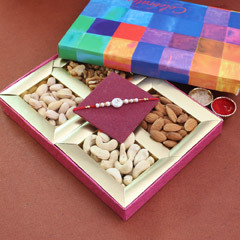 And, gifts play a significant role in that endeavour! 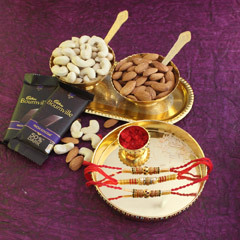 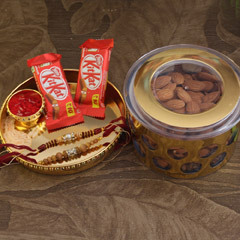 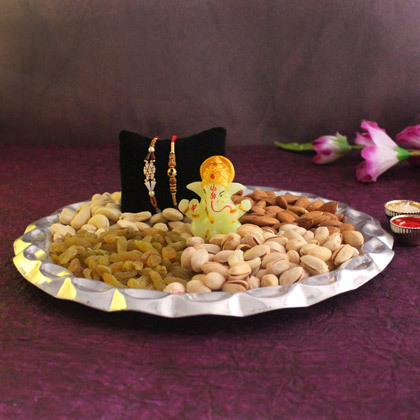 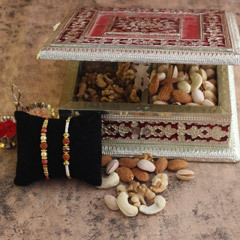 This one is a healthy and delightful combo of dry fruits and two attractive Rakhis and it will definitely impress bothers. 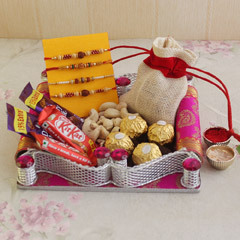 Order this for your brother and he will be more than delighted!